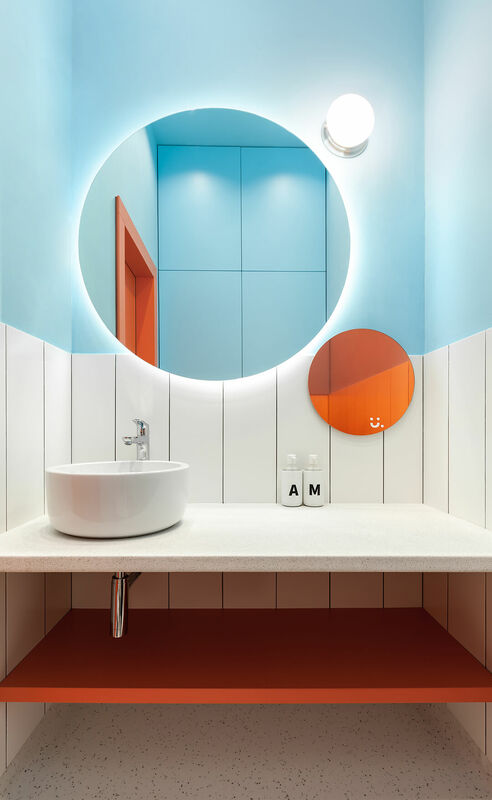 Kiev-based architecture firm Ater Architects has designed a colourful and fun children’s clinic to avoid leaving young patients with negative memories or lingering anxiety for the next visit. 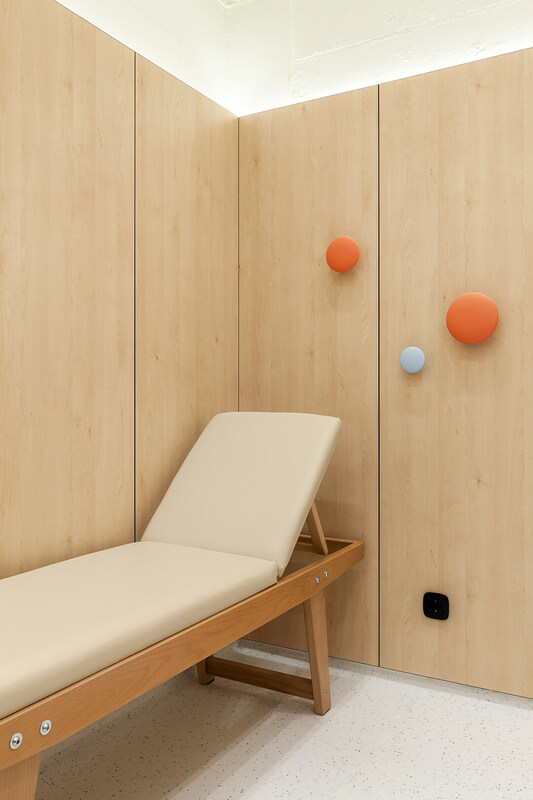 The 38 sqm space is divided into a waiting room, two paediatric areas and a sanitary section. It’s small size limits children being shifted from space to space and limits waiting times to provide a calmer experience. 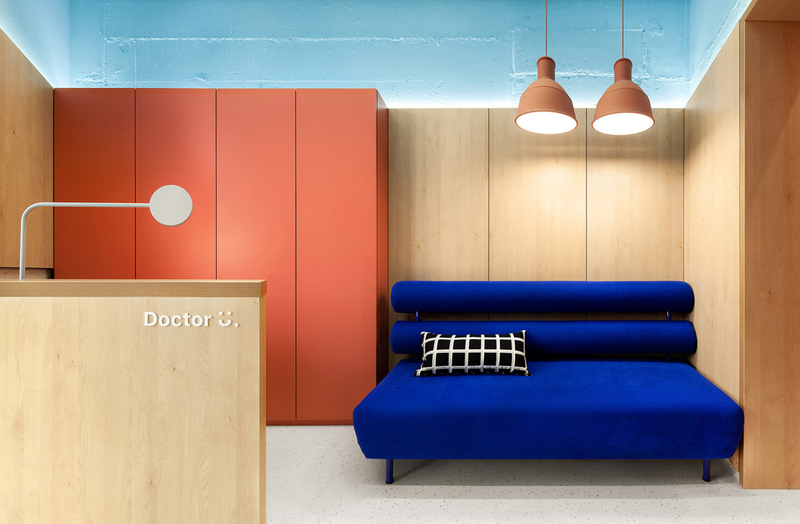 The clinic features a bold colour palette of cobalt, salmon and aquamarine while wood texture wall panels are cut to not reach the ceiling to lower the height of the room. Medical equipment is hidden in custom-made cabinetry and built-in furniture. 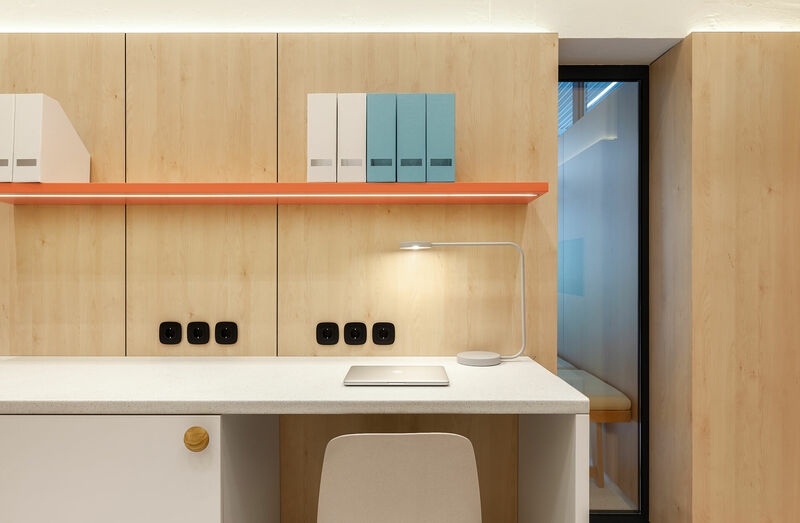 The rooms are equipped with all the necessary equipment for a pediatric clinic but are hidden custom-made cabinetry and built-in furniture to enhance the non-medical atmosphere. Translucent structures between the premises were used to increase natural lighting in the rooms and create more open and friendly space.